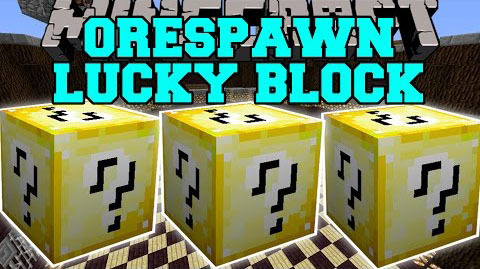 Lucky Block Orespawn Mod can now add close to 100 new drops. You can get so much good stuff and bad stuff. I think this mod is so interesting that you should try it. Rare chance of blocks spawning in Mobzilla! Go in .minecraft/mods and open the lucky block mod’s .jar file.